Moisture, deterioration, dirt, mechanical damage or faults caused by the impact of current, voltage and temperature impair every electrical installation. 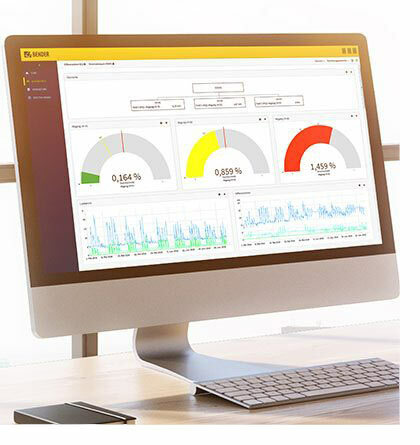 The web-based software solution POWERSCOUT® helps you detect malfunctions at an early stage and eliminate the causes in an economically reasonable way. This guarantees high installation and operational safety and reduces costs. Manual data acquisition is time consuming, error prone and only provides random sampling results. POWERSCOUT® gives you an insight into the entire data of your installation at any time, since all measured values are automatically and continuously saved. POWERSCOUT® combines the data of your measuring and monitoring equipment and generates easily comprehensible visualisations of all important measured values.